Part of Williamstown Road will be CLOSED on Saturday, February 23, 2019. Please plan alternate route and avoid area if possible. 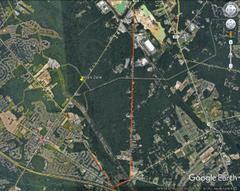 Closure will begin at intersection of New Brooklyn Road in Berlin and end at Erial Road in Sicklerville. Detour will be in effect from 7AM till 5PM. Rain-date for closure is Sunday, February 24th.